Even under poorest conditions, once the human eye no longer distinguishes contrast-differences, the microglyph® decoder retrieves it’s information reliably. 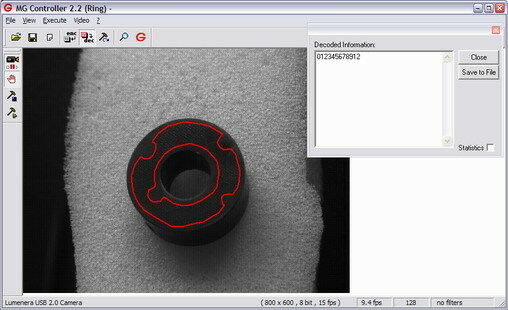 Compared to conventional Matrix- or Barcodes, the innovative microglyph® code is independent from clear or homogeneous contrast conditions. „low-contrast” microglyph, decoded on a black plastic surface. „low-contrast” microglyph, decoded on a white plastic surface.